The National Fire Protection Association (NFPA) reports that an average of 358,500 home structure fires occur each year, resulting in an average of 2,510 civilian deaths, 12,300 civilian fire injuries, and $6.7 billion in direct damage. Another interesting statistic associated with home fires is that while the total number of home fire deaths has been cut in half over the past four decades, the rate of deaths per 1,000 reported home fires has increased 10%. This indicates that efforts to prevent home fires have proven productive, but the number of people dying in these fires has increased. The ultimate purpose of a home fire alarm seems obvious, to save lives. Yet, this last statistic suggests that we are digressing somewhat in this battle. A look at a fully functioning fire alarm system may provide some insight to this issue. Sensing a smoke induced alteration in the normal flow of ions between a pair of electrodes in a radioactive source material sensing chamber and a reference chamber (Ionization Chamber Smoke Detector – ICSD). One disc of source materials is positioned in the sensing chamber and another in the reference chamber, each chamber with electrodes connected by external leads which protrude from the inferior of the chambers. The radioactive material of choice, and has been since the 1970’s, is Americium 241, a very stable radioactive isotope with a half-life of 458 years. Circuit boards serve to house the sensing and reference chambers, receive and position all the electronic components, e.g., the external leads complete with copper tracing for the path of the electronic currents, diodes, resistors, capacitors and other hardware. Most home fire alarms are the ICSD type, but a dual sensor fire/smoke alarm combines both these technologies for a more comprehensive coverage of different fire types. Ionization Smoke Alarm: quicker at detecting fast moving fires. Photoelectric Smoke Alarm: quicker at detecting a slower, smoldering/smoky fire. 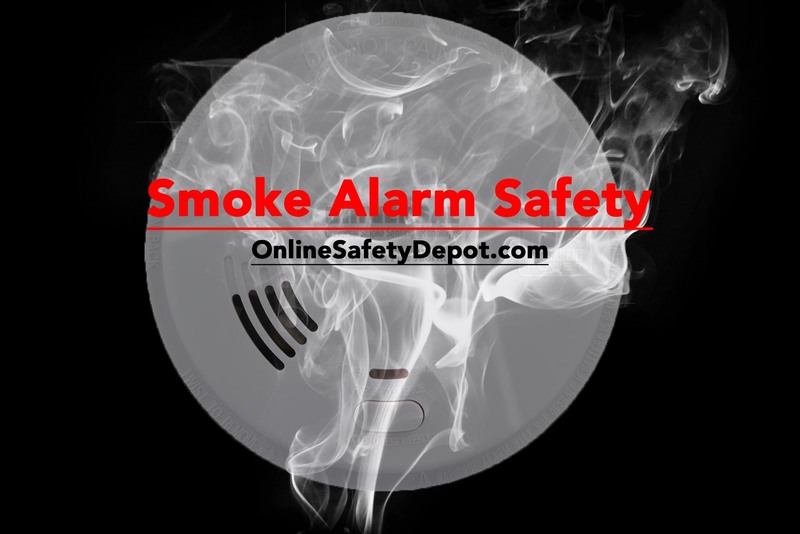 When the detecting device is activated in the presence of smoke, a small but powerful electric alarm horn located in the smoke detector housing frame begins to sound, loud and irritating, to alert anyone in home of a smoke related event and the need to move quickly for safety. There are smoke detectors that also come with a strobe light alarm for individuals that are deaf or hard of hearing. The strobe alarm can also be located in any room (bedroom) even though the smoke detection was detected in another room or even level of the home. Many homes today are required to have a 120 VAC hardwire smoke alarm wired directly into the home’s electrical system. A secondary power supply or battery backup ensures that the alarm will not fail even with the occurrence of a power outage. These systems also come with a convenient “mute” button so that you can quickly and easily silent an unwanted alarm with a simple push of the button. The convenience of an easy to mount ceiling device places the fire alarm in the best location to detect smoke, as hot air/smoke will always rise upward. A plastic mounting base seats the circuit board and includes a test button to allow for periodic testing after home installation. A mounting bracket is applied to the base for securement to the ceiling and a cosmetically pleasing plastic cover is added to complete the device. Smoke alarms should be tested periodically. See our other article titled, “Never Get Overwhelmed with House Projects Again” for more information. Allowing each family member to hear the alarm so they know the sound associated with a potential fire emergency. Identification of the first escape route option for each family member from their own bedroom. This may also include the use of equipment that may be needed to for the escape route, e.g., fire escape ladders. Identification of the second escape route should be first route be inaccessible. Any specific additional tasks for certain to perform as part of the overall escape plan. Gathering location one an individual has safely escaped to the outside. Previous post: Is the Ice Safe Enough to Walk on for Ice Fishing?